In 1946, It’s a Wonderful Life was created. Perhaps it was the era of new camera lens, but this picture doesn’t really capture how the camera filmed George in this scene. The photo certainly matched the music to create an “other-world” effect! At this point, reality set in: What if he really had never been born as Clarence suggested? Certainly his own mother didn’t know him! Dear Mrs. Bailey, always sweet and good-natured in the film becomes a sour old dowager running a boarding house! 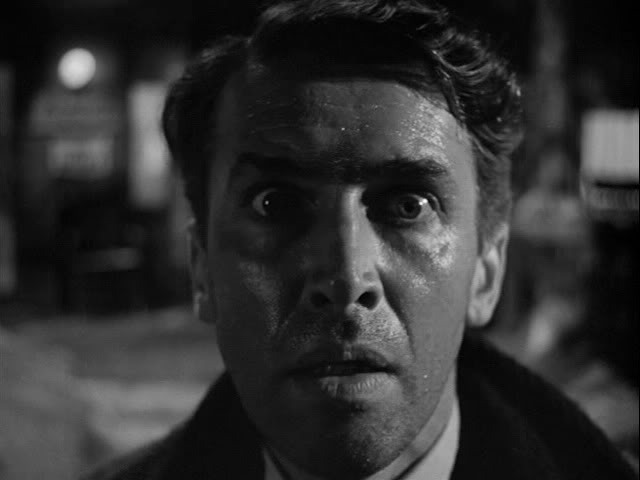 Wanda, I enjoyed reading your two posts about ‘It’s a Wonderful Life.’ Each year our family watches it at Christmas time; I love redemption stories. My family teases me that I see the Bible in everything we watch!! I guess that’s a good thing. Glad you liked it and enjoy the rest of the holidays.